Herbella, FA; NETO, SEBASTIÃO P.. Gastroesophageal reflux disease and non-esophageal cancer.. World Journal of Gastroenterology. v. World Journal of Gastroenterology, p. 815, 2015. Herbella, Fernando A; Patti, MG. Can high resolution manometry parameters for achalasia be obtained by conventional manometry?. World Journal of Gastrointestinal Pathophysiology. v. World Journal of Gastrointestinal Pathophysiology, p. 58, 2015. Pantanali C ; Herbella FA. Laparoscopic heller myotomy and fundoplication in patients with chagas´ disease achalasia and massively dilated esophagus.. The American Surgeon. v. The American Surgeon, p. 72-5, 2013. Herbella, F. A. Abdominal pain after the repair of an aortoiliac aneurysm.. Acta Gastroenterológica Latinoamericana. v. Acta Gastroenterológica Latinoamericana, p. 84, 2012. Herbella FA. Progression of diffuse esophageal spasm to achalasia: incidence and predictive factors. Progression of diffuse esophageal spasm to achalasia: incidence and predictive factors.. Diseases of the Esophagus. v. Diseases of the Esophagus, p. online only, 2012. Herbella, Fernando A.; DUBECZ,A ; Patti, MG. Esophageal diverticula and cancer.. Diseases of the Esophagus. v. Diseases of the Esophagus, p. 153, 2012. LAURINO NETO, R. ; Herbella, Fernando A. M. Comorbidities remission after Roux-en-Y Gastric Bypass for morbid obesity is sustained in a long-term follow-up and correlates with weight regain.. Obesity Surgery. v. Obesity Surgery, p. 1580-5, 2012. Herbella, F. A.; R, F. ; Takassi, Guilherme F ; Del Grande, J. C.. Evaluation of trainning and professional expectations of surgery residents.. Revista do Colégio Brasileiro de Cirurgiões (Impresso). v. Revista do Colégio Brasileiro de Cirurgiões (Impresso), p. 280-4, 2011. Herbella, F. A.; FARAH,JFM ; Patti, MG. Bizarre findings during redo laparoscopic anti-reflux surgery. Brazilian Journal of Videoendoscopic Surgery (Impresso). v. Brazilian Journal of Videoendoscopic Surgery (Impresso), p. 149, 2011. Herbella FA; GRANDE, J. C.. Benign esophagopulmonary fistula through an epiphrenic diverticulum and assymptomatic achalasia. Digestive Diseases and Sciences. v. Digestive Diseases and Sciences, p. aguarda, 2010. Pantanali C ; Herbella FA ; Aquino, JL ; FARAH,JFM ; GRANDE, J. C.. Nissen fundoplication for the treatment of gastroesophageal reflux disease in patients with Chagas disease without achalasia.. Revista do Instituto de Medicina Tropical de São Paulo (Impresso). v. Revista do Instituto de Medicina Tropical de São Paulo (Impresso), p. 113-114, 2010. Mali Jr, J ; Herbella FA ; VALEZI,. Influence of the Actual Diameter of the Gastric Pouch Outlet in Weight Loss After Silicon Ring Roux-en-Y Gastric Bypass: An Endoscopic Study.. Obesity Surgery. v. Obesity Surgery, p. aguarda, 2010. Takassi, Guilherme F ; Herbella, Fernando AM. Úlcera péptica crônica do esôfago e esofagite.. Einstein. Educação Continuada em Saúde. v. Einstein. Educação Continuada em Saúde, p. 3, 2010. Herbella FA; TINELI, ; WILSON Jr, ,JL ; GRANDE, J. C.. Duodenal bypass does not decrease glucose levels of lean individuals with gastric cancer submitted to partial or total gastrectomy.. Arquivos de Gastroenterologia (Impresso). v. Arquivos de Gastroenterologia (Impresso), p. 230-2, 2009. Herbella FA; Patti, MG ; GRANDE, J. C.. When did the esophagus start shrinking? The history of the short esophagus.. Diseases of the Esophagus. v. Diseases of the Esophagus, p. 550-8, 2009. SZOR, D ; Herbella FA ; BONINI, AL ; MORENO, DG ; GRANDE, J. C.. Gastric fundus tension before and after division of the short gastric vessels in a cadaveric model of fundoplication.. Diseases of the Esophagus. v. Diseases of the Esophagus, p. 539-42, 2009. Salvador, R ; WATSON, TJ ; Herbella FA ; DUBECZ,A ; POLOMSKY, M ; JONES, CE ; RAYMOND, DR ; PETERS, JH. Association of gastroesophageal reflux and O2 desaturation: a novel study of simultaneous 24-h MII-pH and continuous pulse oximetry.. Journal of Gastrointestinal Surgery. v. Journal of Gastrointestinal Surgery, p. 854-61, 2009. Herbella FA; NIPOMINICK, I ; Patti, MG. From sponges to capsules. The history of esophageal pH monitoring.. Diseases of the Esophagus. v. Diseases of the Esophagus, p. 99-103, 2009. Herbella FA; NIPOMINICK, I ; Patti, MG. Esophageal angulation after hiatoplasty and fundoplication: a cause of dysphagia?. Diseases of the Esophagus. v. Diseases of the Esophagus, p. 95-8, 2009. Herbella FA. Vagotomy during hiatal hernia repair: anatomic observations. Vagotomy during hiatal hernia repair: anatomic observations.. Journal of Gastrointestinal Surgery. v. Journal of Gastrointestinal Surgery, p. 393-4, 2009. Herbella FA; RAZ, D ; NIPOMINICK, I ; Patti, MG. Primary versus secondary esophageal motility disorders: diagnosis and implications for treatment.. Journal of Laparoendoscopic & Advanced Surgical Techniques. Part A. v. Journal of Laparoendoscopic & Advanced Surgical Techniques. Part A, p. 195-8, 2009. Herbella FA; TINELI, ; WILSON Jr, ,JL ; GRANDE, J. C.. Surgical treatment of primary esophageal motility disorders.. Journal of Gastrointestinal Surgery. v. Journal of Gastrointestinal Surgery, p. 604-8, 2008. RAZ, D ; Herbella FA ; TEDESCO,P ; NIPOMINICK, I ; WAY, L ; Patti, MG. Side-to-side stapled intra-thoracic esophagogastric anastomosis reduces the incidence of leaks and stenosis.. Diseases of the Esophagus. v. Diseases of the Esophagus, p. 69-72, 2008. MARCONDES, W. ; HERBELLA, F.A.M. ; MATONE, J. ; ODASHIRO, A. N. ; GOLDENBERG, A. ; GOLDENBERG, A.. Laparoscopic evaluation of abdominal adhesions with different prosthetic meshes in rabbits.. Journal of the Society of Laparoendoscopic Surgeons. v. Journal of the Society of Laparoendoscopic Surgeons, p. 58-61, 2008. Herbella FA; TINELI, ; WILSON Jr, ,JL ; GRANDE, J. C.. Gastrectomy and lymphadenectomy for gastric cancer: is the pancreas safe?. Journal of Gastrointestinal Surgery. v. Journal of Gastrointestinal Surgery, p. 1912-4, 2008. Herbella FA; Aquino, JL ; STEFANI-NAKANO, S ; ARTIFON, EL ; Sakai, P ; CREMA,E ; ANDREOLLO, NA ; LOPES, LR ; Pochini, CC ; CORSI, PR ; GAGLIARDI, D ; GRANDE, J. C.. Treatment of achalasia: lessons learned with Chagas' disease.. Diseases of the Esophagus. v. Diseases of the Esophagus, p. 461-7, 2008. Herbella FA; GRANDE, J. C.. Novas técnicas ambulatoriais para avaliação da motilidade esofágica e sua aplicação no estudo do megaesôfago. Revista do Colégio Brasileiro de Cirurgiões (Impresso). v. Revista do Colégio Brasileiro de Cirurgiões (Impresso), p. 199-2, 2008. Herbella FA; TEDESCO,P ; NIPOMINICK, I ; Patti, MG. Gastroesophageal reflux disease and obesity. Pathophysiology and implications for treatment.. Journal of Gastrointestinal Surgery. v. Journal of Gastrointestinal Surgery, p. 286, 2007. Herbella FA; TEDESCO,P ; NIPOMINICK, I ; Patti, MG. Effect of partial and total laparoscopic fundoplication on esophageal body motility.. Surgical Endoscopy. v. Surgical Endoscopy, p. 285, 2007. CARTER, ; Tafreshian, S ; CAMPOS, GM ; TIWARI, UK ; Herbella FA ; Patti, MG. Routine upper GI series after gastric bypass does not reliably identify anastomotic leaks or predict stricture formation. Surgical Endoscopy. v. Surgical Endoscopy, p. a definir, 2007. Herbella FA; PETERS, JH. Endoscopic resection of esophageal adenocarcinomas: minimally invasive therapy for minimally invasive tumors??,. Evidence-Based Gastroenterology. v. Evidence-Based Gastroenterology, p. 37-38, 2007. WILLIAMS, VA ; WATSON, TJ ; Herbella FA ; GELLERSEN, O ; RAYMOND, DR ; JONES, CE ; PETERS, JH. Esophagectomy for high grade dysplasia is safe, curative, and results in good alimentary outcome.. Journal of Gastrointestinal Surgery. v. Journal of Gastrointestinal Surgery, p. 589-97, 2007. Herbella FA; GRANDE, J. C. ; BEATON, HL. Surgical images: soft tissue. Postgastrectomy benign gastrojejunocolic fistula.. Canadian Journal of Surgery. v. Canadian Journal of Surgery, p. 297-8, 2007. Herbella FA; REGATIERI, CV ; MORENO, DG ; GRANDE, J. C.. Vagal integrity in vagal-sparing esophagectomy: a cadaveric study.. Diseases of the Esophagus. v. Diseases of the Esophagus, p. 406, 2006. Herbella FA; Matone, J ; GRANDE, J. C.. Gastrointestinal: afferent loop syndrome.. Journal of Gastroenterology and Hepatology. v. Journal of Gastroenterology and Hepatology, p. 1346, 2006. Herbella FA; TEDESCO,P ; Patti, MG. Thoracoscopic resection of esophageal duplication cysts.. Diseases of the Esophagus. v. Diseases of the Esophagus, p. 132, 2006. SWEET, MP ; Herbella FA ; NIPOMINICK, I ; Patti, MG. The prevalence of distal and proximal gastroesophageal reflux in patients awaiting lung transplantation. Annals of Surgery. v. Annals of Surgery, p. 491-7, 2006. Herbella FA; Acebey, N ; YANAGITA, E ; GRANDE, J. C.. Preoperative manometry is not a predictor of postoperative dysphagia in chagasic achalasia. Therapy. v. Therapy, p. 255-257, 2006. Matone, J ; Herbella FA ; GRANDE, J. C.. Abdominal cocoon syndrome. Clinical Gastroenterology and Hepatology. v. Clinical Gastroenterology and Hepatology, p. 31, 2006. TINELI, ; Herbella FA ; GRANDE, J. C.. Liver and spleen injury in lethal blunt trauma: thoracic and abdominal wall findings.. ABCD. Arquivos Brasileiros de Cirurgia Digestiva. v. ABCD. Arquivos Brasileiros de Cirurgia Digestiva, p. 133-4, 2006. Matone, J ; Herbella FA ; COLLEONI NETO, Ramiro ; Lopes Filho GJ. Trombose venosa mesentérica após desconexão ázigo-portal para o tratamento de varizes esofágicas hemorrágicas na esquistossomose mansônica.. ABCD. Arquivos Brasileiros de Cirurgia Digestiva. v. ABCD. Arquivos Brasileiros de Cirurgia Digestiva, p. 110-3, 2006. PATORE, R ; CREMA,E ; Herbella FA ; GRANDE, J. C.. Eletromanometria esofágica e pHmetria de 24 horas na avaliação pós-operatória da hiatoplastia e válvula anti-refluxo total laparoscópica. Arquivos de Gastroenterologia (Impresso). v. Arquivos de Gastroenterologia (Impresso), p. 112-6, 2006. Herbella FA; Matone, J ; LOURENÇO, L. G. ; GRANDE, J. C.. Obesity and symptomatic achalasia.. Obesity Surgery. v. Obesity Surgery, p. 713, 2005. HERBELLA, FAM ; VARELA, CE ; Miranda Junior F ; DELGRANDE, JC ; BEATON, HL. Superior mesenteric artery syndrome and aortic aneurysm.. ABCD. Arquivos Brasileiros de Cirurgia Digestiva. v. ABCD. Arquivos Brasileiros de Cirurgia Digestiva, p. 25-27, 2005. Matone, J ; Herbella FA ; Lopes Filho GJ. Hemorragia digestiva alta causada por varizes duodenais: relato de caso. ABCD. Arquivos Brasileiros de Cirurgia Digestiva. v. ABCD. Arquivos Brasileiros de Cirurgia Digestiva, p. 33-35, 2005. Herbella FA; Matone, J ; GRANDE, J. C.. Eponyms in esophageal surgery, part 2. Diseases of the Esophagus. v. Diseases of the Esophagus, p. 4-16, 2005. Herbella FA. Autopsies and surgery. Annales de Chirurgie. v. Annales de Chirurgie, p. 596, 2005. Herbella FA; BARONE,B ; MARCONDES,W. Patient with ileitis associated to.... Acta Gastroenterológica Latinoamericana. v. Acta Gastroenterológica Latinoamericana, p. 152, 2005. Herbella FA. Rapunzel syndrome with a fatal outcome in a neglected child. Journal of Pediatric Surgery. v. Journal of Pediatric Surgery, p. 1665-7, 2005. Herbella FA. Are surgeons too far from the anatomy lab?. Contemporary Surgery. v. Contemporary Surgery (2) , p. 64-64, 2004. Herbella FA. Short esophagus: believe or not. Journal of the American College of Surgeons. v. Journal of the American College of Surgeons (4) , 2004. Herbella FA; OLIVEIRA, D ; GRANDE, J. C.. Are idiophatic and Chagasic achalasia two different diseases?. Digestive Diseases and Sciences. v. Digestive Diseases and Sciences (3) , p. 353-60, 2004. Herbella FA. Subcutaneous emphysema due to airway rupture after chronic endotracheal intubation. Clinical Intensive Care. v. Clinical Intensive Care (2-3) , p. 109-110, 2004. Herbella FA; OLIVEIRA, D ; GRANDE, J. C.. Eponyms in esophageal surgery. Diseases of the Esophagus. v. Diseases of the Esophagus (1) , p. 1-9, 2004. Herbella FA; FERNANDES, P H ; DELMONTE, C ; GRANDE, J. C.. Forensic Autopsy Costs in the City of São Paulo. 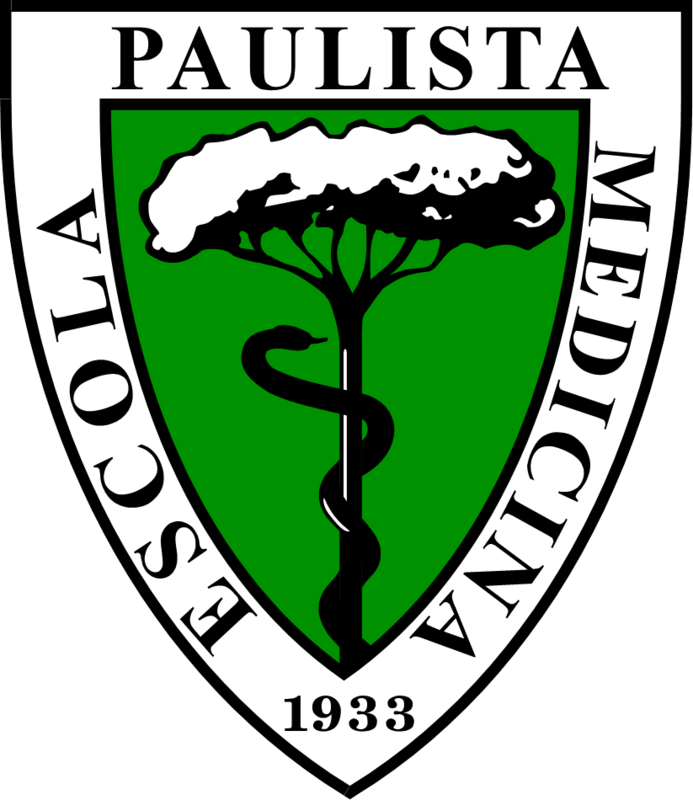 São Paulo Medical Journal. v. São Paulo Medical Journal (3) , p. 139-142, 2003. Herbella FA; GRANDE, J. C. ; COLLEONI NETO, Ramiro. Anatomical Analysis of the Mediastinal Lymph Nodes of Normal Brazilian Subjects According to the Classification of the Japanese Society for Diseases of the Esophagus. Surgery Today (Tokyo). v. Surgery Today (Tokyo) (4) , p. 249-253, 2003. Herbella FA; GRANDE, J. C. ; COLLEONI NETO, Ramiro. Short Esophagus or Bad Dissected Esophagus? An Experimental Cadaveric Study. American Journal of Physiology. Gastrointestinal and Liver Physiology. v. American Journal of Physiology. Gastrointestinal and Liver Physiology (6) , p. 721-725, 2003. Herbella FA; GRANDE, J. C.. Postgastrectomy Jejunogastric Intussusception. Canadian Journal Of Surgery. v. Canadian Journal Of Surgery (6) , p. 465-466, 2003. Herbella FA; VENTURA, D e ; GRANDE, J. C.. Índice de Publicação dos Trabalhos Apresentados no XXIV Congresso Brasileiro de Cirurgia. Revista do Colégio Brasileiro de Cirurgiões. v. Revista do Colégio Brasileiro de Cirurgiões (5) , p. 392-393, 2003. Herbella FA. Short esophagi and a long career. Journal of Thoracic and Cardiovascular Surgery (Print). v. Journal of Thoracic and Cardiovascular Surgery (Print), p. 1668, 2003. Herbella FA; GRANDE, J. C. ; LOURENÇO, L. G.. Synchronous Advanced Gastric Adenocarcinoma and Advanced Esophageal Squamous Cell Carcinoma. São Paulo Medical Journal. v. São Paulo Medical Journal (1) , p. 28-29, 2002. GRANDE, J. C. ; COLLEONI NETO, Ramiro ; Herbella FA ; LOURENÇO, L. G.. Perfurações de Esôfago: analise de 34 casos. GED. Gastroenterologia e Endoscopia Digestiva. v. GED. Gastroenterologia e Endoscopia Digestiva (3) , p. 113-116, 2002. Herbella FA; GRANDE, J. C.. Surgeons Skills in Measures Evaluation. Acta Cirúrgica Brasileira. v. Acta Cirúrgica Brasileira (5) , p. 278-280, 2002. Herbella FA; GRANDE, J. C. ; COLLEONI NETO, Ramiro. Short Esophagus: Literature Incidence. Diseases of the Esophagus. v. Diseases of the Esophagus (2) , p. 125-131, 2002. Herbella FA; GRANDE, J. C.. Efficacy of Mediastinal Lymphadenectomy in Transhiatal Esophagectomy With and Without Diaphragm Opening: a Cadaveric Study. Diseases of the Esophagus. v. Diseases of the Esophagus (2) , p. 160-162, 2002. Herbella FA; DELMONTE, C ; GRANDE, J. C.. Raccoon Eyes (Periorbital Haematoma) as a Sign of Skull Base Fracture. Injury. v. Injury (10) , p. 745-747, 2001. Herbella FA. Padrão dos Ferimentos Abdominais Mortais por Arma de Fogo na Cidade de São Paulo. Boletim da Academia de Polícia de São Paulo. v. Boletim da Academia de Polícia de São Paulo, 2001. Herbella FA; GRANDE, J. C.. Human Cadavers as an Experimental Model for Esophageal Surgery. Diseases of the Esophagus. v. Diseases of the Esophagus (3) , p. 218-222, 2001. LOBO, E.J. ; GOLDENBERG, A. ; HERBELLA, F.A.M. ; Prado-Kobata, M.H. ; TRIVIÑO, T.. Laparoscopic Cholecystectomy in a Patient With a Duplicated Cystic Duct. Surgical Laparoscopy, Endoscopy & Percutaneous Techniques. v. Surgical Laparoscopy, Endoscopy & Percutaneous Techniques (5) , p. 326-328, 2000. Herbella FA; GRANDE, J. C. ; LOURENÇO, L. G.. Leiomioma de Delgado como Causa de Hemorragia Digestiva Aguda e Recorrente. GED. Gastroenterologia e Endoscopia Digestiva. v. GED. Gastroenterologia e Endoscopia Digestiva (5) , p. 208-210, 2000. Herbella FA; GRANDE, J. C.. Hemorragia Digestiva alta não varicosa. Diagnóstico & Tratamento. v. Diagnóstico & Tratamento (44) , p. 24-29, 1999. Herbella FA; GRANDE, J. C. ; LOURENÇO, L. G.. Resultados Tardios da Operação de Heller Associado à Fundoplicatura no Tratamento do Megaesôfago - Análise de 86 Casos. Revista da Associação Médica Brasileira (1992. Impresso). v. Revista da Associação Médica Brasileira (1992. Impresso) (4) , p. 317-322, 1999. GRANDE, J. C. ; Herbella FA. Megaesôfago. Diagnóstico & Tratamento. v. Diagnóstico & Tratamento, p. 17-18, 1996. Herbella FA. Complicações Operatórias e Resultados Imediatos da Cardiomiotomia com Fundoplicatura no Tratamento do Megaesôfago - Análise de 104 Casos. GED. Gastroenterologia e Endoscopia Digestiva. v. GED. Gastroenterologia e Endoscopia Digestiva (5) , p. 156-160, 1996. GRANDE, J. C. ; Herbella FA ; LOURENÇO, L. G.. Resultados imediatos da cardiomiotomia com fundoplicatura no tratamento do megaesôfago - análise de 104 casos. GED. Gastroenterologia e Endoscopia Digestiva. v. GED. Gastroenterologia e Endoscopia Digestiva, p. 156-60, 1996. LOURENÇO, L. G. ; GRANDE, J. C. ; Herbella FA. Tumoral DNA analysis by flow cytometry in patients submitted to esophagectomy for squamous cell carcinoma of the esophagus. Revista do Hospital São Paulo. v. Revista do Hospital São Paulo, p. 71-74, 1995.